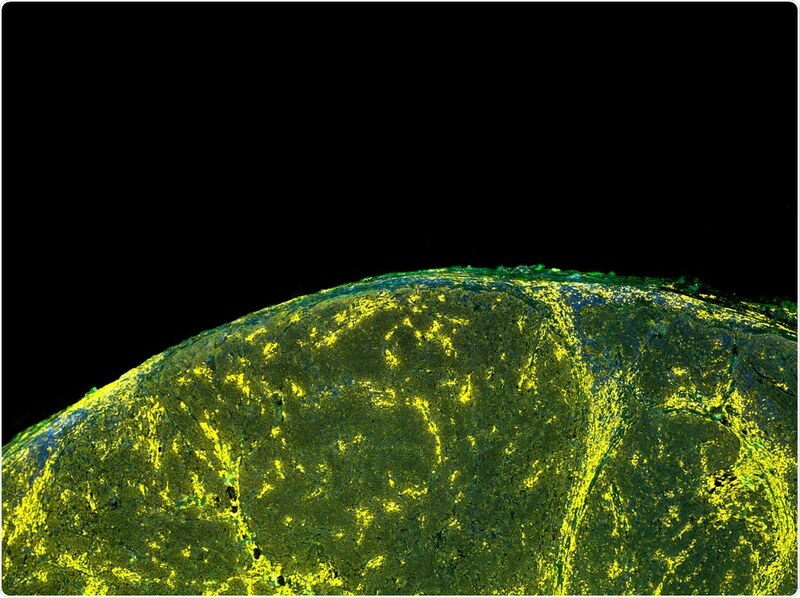 What are the current limitations associated with fluorescence microscopy for biomedical applications? There are several notable limitations that people in the field are now recognizing. Firstly, fluorescence microscopy does not allow the measurement or imaging of small metabolites or small molecules. Due to the nature of their chemical structure, fluorophores are generally large, meaning they need a certain conjugation system to absorb light in order to become fluorescent. Their large size also means that fluorophores cannot be used to label small metabolites such lipids, fatty acids, glucose or neurotransmitters. If you did try to do that, the fluorophores themselves would change the physical or chemical behavior of the small molecules. I think people now recognize that fluorescent microscopy is not compatible with small molecule biology, so that is one major limitation. Another limitation is the number of channels or number of colors you can use due to the broadness of the fluorescent spectrum. The width of the fluorescence spectrum is between 50 and 100 nanometers. This means that in the visual range of our spectrum, you cannot use more than five fluorescent colors simultaneously. Typically, people use three or four colors, which is already quite challenging. Using more than five colors is considered extremely difficult. I think people now recognize such a color-coded barrier for fluorescent microscopy, just as they do for the resolution barrier for optical microscopy. Since the number of colors is limited to perhaps three to five, people cannot image more than about five different species at the same time. That restricts its application in multiplex a or high-dimensional analyses that require simultaneous measurement of many species and targets. In that respect, fluorescence microscopy is fundamentally limited. Why are metabolites and drugs hard to visualize inside cells and what’s the relevance of this ability in biomedicine? Metabolites and drugs are hard to visualize because they are not fluorescent to begin with and are mostly small molecules. They do not emit fluorescent and they are small, so you cannot visualize them by themselves and they cannot be labeled with the large fluorophores. At the same time, they are terribly important in biomedicine because a lot of disease are related to abnormalities in their metabolism. We know that many major diseases such as metabolic disease or syndrome, cancer, diabetes and other diseases are all related to the dysregulation of metabolism. We therefore want to study metabolites because they are so significant in medicine. Drugs are also relevant to biomedicine because most of the drugs are small-molecule-based. Of course, people are used to having had antibody-based drugs, but nowadays, I would say most drugs available on the market are still based on small molecules. What else is going on at Pittcon 2019? At Pittcon, I will be mainly talking about three new imaging modalities. The first one is called Bioorthogonal Chemical Imaging, which is used to develop small tags - much smaller ones than fluorophores. These very small tags we have developed are based on chemical bonds because those bonds can be made to only two or three atoms. These tiny tags can be attached to the small molecules metabolites and drugs such as I described. Stimulated Raman technique is a multi-photon version of the Raman scattering phenomena and we are using that kind of microscopy to visualize the labeled metabolizing drugs. The second strategy is trying to address the multicolor challenge. We are now developing dyes we call Raman dyes that have a unique, very narrow spectrum. In this way, in principle, we can generate many more colors than we could do with fluorescence. We have already published two papers over the past few years that show the unveiling of 20 colors, which is a big advance compared to just the five colors that can be used in fluorescence. The third strategy is more to do with animal imaging. In this case, we use heavy water, deuterium-labeled water, as a general metabolic probe. The hydrogen in water is replaced by deuterium to give a heavier version. On consuming this heavier water, the animal would resynthesize its metabolites to process amino acids, fatty acids and sugars, for example. Since the deuterium would be carried over into this newly synthesized metabolites, we can use Raman spectroscopy and microscopy to visualize the amount and location of these deuterium-bearing metabolites, as well as their distribution through the tissues of the animal. That is related to the big challenge of how we can image metabolism in live animals. Please describe your research which led to you receiving the Pittcon Achievement Award, presented by the Society for Analytical Chemists of Pittsburgh. One piece is related to my post-doc work in which, together with my previous advisor Professor Sunney Xie, we published a paper in Science in 2008, where we developed stimulated Raman Imaging Microscopy. However the main piece that this award is related to is recognition of my independent work at Columbia. The Bioorthogonal chemical imaging for small metabolites and drugs was the first strategy I described and the second was Super Multi-Color Imaging. This involved progressing beyond the use of just the five colors and expanding it to 20 colors. I think it is these two new strategies developed as part of my independent work that are being recognized by this award. What does it mean to you to win the Pittcon Achievement Award? Pittcon is really the largest community of analytical chemistry and applied spectroscopy, so I am honoured to know that my field and community recognizes me because of the work that I have done. How do you think that the novel optical microscopy solutions you have developed will help to address issues in biomedicine? I think this relates to the unique advantages of the techniques we have developed. The ability to see metabolites and drugs is going to have a large impact in biomedicine because they are the key players in many diseases. It has not previously been possible to visualize these small markers using microscopy. Now, our technique enables their visualization, so they can be seen at a very high resolution in live cells. I think this should open up a whole lot of new research opportunities in terms of understanding these molecules in the context of disease. The traditional one-parameter-at-a-time approach has now become inadequate in terms of addressing those cutting-edge questions, so more and more people, companies, and doctors are realizing the key is being able to carry out measurements in a comprehensive way. Our technique that employs 20-color or 50-color imaging is going to pivotal in enabling this capability, so I believe this era has opened up a lot of exciting bio-technology applications. Dr. Wei Min graduated from Peking University in 2003. 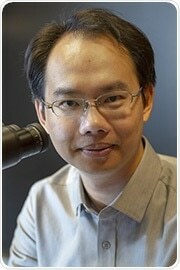 He received his Ph.D. from Harvard University in 2008 studying single-molecule biophysics with Prof. Sunney Xie. After continuing his postdoctoral work in Xie group, Dr. Min joined the faculty at Columbia University in 2010, and was promoted to Full Professor there in 2017. He is also affiliated with the Kavli Institute for Brain Science and NeuroTechnology Center at Columbia University. Dr. Min's current research interests focus on developing novel optical spectroscopy and microscopy technology to address biomedical problems. In particular, his group has made important contributions to the development of stimulated Raman scattering (SRS) microscopy and its broad application in biomedical imaging. 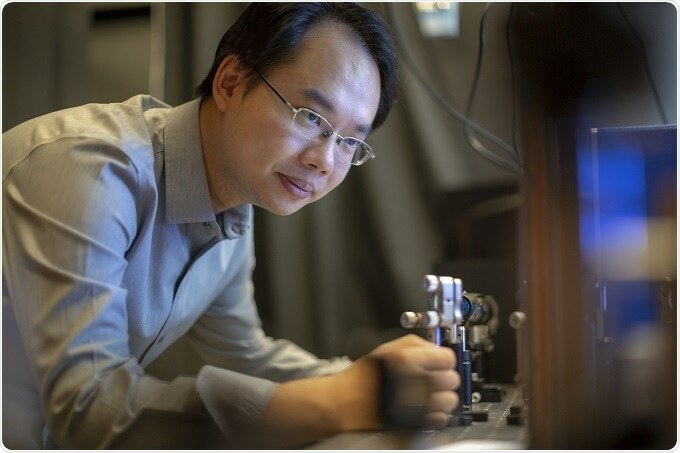 Dr. Min's contribution has been recognized by a number of honors, including Pittsburgh Conference Achievement Award (2019), Analyst Emerging Investigator Lectureship (2018), Coblentz Award of Molecular Spectroscopy (2017), the ACS Early Career Award in Experimental Physical Chemistry (2017), Camille Dreyfus Teacher-Scholar Award (2015), Alfred P. Sloan Research Fellowship (2013), and NIH Director's New Innovator Award (2012).